Rail Delay Compensation: Has Your Train been Cancelled or Delayed? It's that time of the year when - once again - we all enjoy the Great British weather! If it's too wet, rail chiefs tell us that there are "leaves on the line". If it's too cold, we get "freezing tracks". During the recent heat wave, it was still the "wrong kind of weather", with services struggling in high temperatures. And don't forget the old favourite: "signal failure in the Peterborough area". In a nutshell, long-suffering passengers still regularly experience delays on Britain's rail network. Until now, passengers have had to make do with rail vouchers, by way of compensation. However, the rules have just changed, giving you new rights to cash payments. Interestingly, according to the Office of Rail Regulation, more than three-quarters of passengers still are unaware of their rights if their trains are delayed, with just one in 10 claiming refunds. Make sure you keep this Unlock the Law guide; it outlines your rights if your train is delayed, and explains how to get a refund! 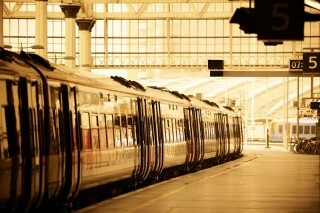 What are my rights if my train is delayed? 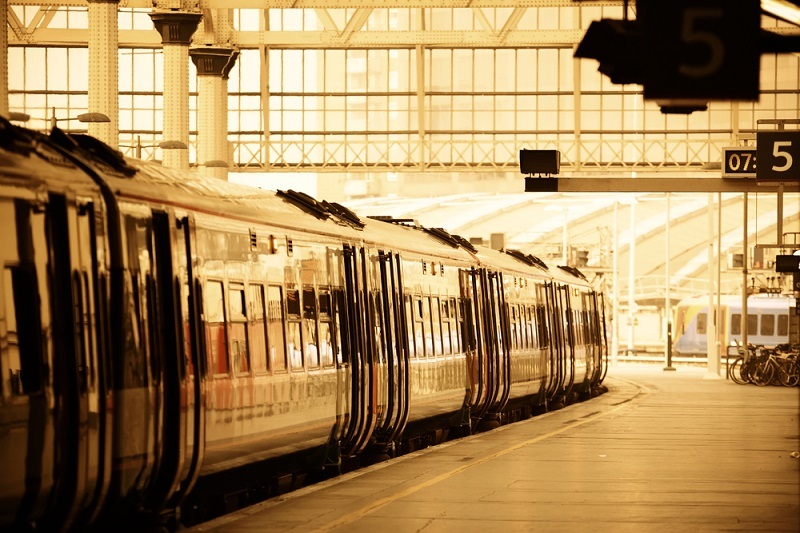 Each of the UK's twenty-eight rail companies deals with delays differently. You and another traveller both could make exactly the same journey from Glasgow to London, be delayed for exactly the same length of time and yet be entitled to different amounts of compensation, all because you have travelled with different operators. Don't get stressed about the size of the National Conditions of Carriage (NCC) - Unlock the Law will keep you on the right track. Before you can make any claim, your delay needs to be for 30 minutes or more. Just like a delay when you fly, what matters is when you arrive at your destination. So, for example, if a replacement train is laid on and it gets you to your destination 29 minutes 59seconds from the time your original train was meant to arrive, it won't constitute a delay. As you might expect, you can only claim for a delay that is deemed to have been within your train operator's control (a "qualifying delay"). Only then will you have a guaranteed right to compensation. If you are not in the position of having a guaranteed right, your operator might still accept a claim under a new scheme called Delay Repay. This allows passengers to claim a refund for delays of more than 30 minutes, regardless of the cause. Two-thirds of Britain's train companies are signed up to it, at the moment. Fire, mechanical or electrical failure (except if caused by a train operator, its staff, or the condition of its trains). It does not matter what type of ticket you travel on, you can still get a refund for qualifying delays (or via Delay Repay). What About First Class Tickets? If you have booked the luxury of first class but there is no first class accommodation available (e.g. the train is busier due to a delay), you are entitled also to a refund of the difference in price between your first class ticket and a standard class ticket. Beware, however: if you have booked standard class and try to move into first class, you may be charged a penalty fare! If you are a season ticket holder, you can claim a refund for delays in a number of ways (depending on your operator's policy). Firstly, you can make a new claim each time your train is delayed by more than 30 minutes, either because it is a qualifying delay or via Delay Repay. Secondly, you can make a single claim for continual delays in your service. This is usually done with reference to missed punctuality targets, which you can check at http://www.atoc.org. Until recently you would expect a discount on your next season ticket, as compensation (but see the section on compensation, later in this guide). Thirdly, you can use a combination i.e. a regular claim (qualifying delay or Delay Repay) for individual delays and also a claim for a discount on your next season ticket (based on a failure to meet punctuality targets). What if You Lose your Seat? If a delay means that (for whatever reason) your seat reservation is not honoured, you may be able to get something back. The amount will depend on the particular operator. Bear in mind most operators will pay out only once, making in unlikely that you will get a refund for a delay and also for a lost seat. What if You Are Stranded? If you become stranded because of a delay that is within the control of your operator, you should be taken to your destination or given overnight accommodation. Remember to retain all receipts for anything you have to pay for. Do note that if you simply jump in a cab and make your own way to your destination, your train company is unlikely to pick up your (more expensive) taxi bill. If your delay means you lose out on another booking (e.g. a concert ticket) then this likely will be regarded as what is called "consequential loss. The NCC state that operators will not be liable for such losses. That being said, the NCC also says companies: "will consider additional claims in exceptional circumstances". It is certainly worth asking the question! Similarly, if you miss a connecting flight, it is unlikely you're train operator will compensate you (for the same reason). So - make sure you maintain good quality travel insurance. If your train is delayed and you decide not to travel, the NCC rules say you must get a full refund. If you do travel, however, then the amount you will receive is up to your operator (and will be stated in its passenger charter). The old version of NCC stated that any compensation due would be paid in the form of rail vouchers. The problem with the voucher system (so often criticised by consumer groups) was that vouchers could not always be used online or to access the cheapest fares. So, just last month (June 2015) the Rail Delivery Group (representing train operators and Network Rail) agreed a change to the National Rail Conditions of Carriage. Under the new policy, you will be able to claim your compensation in cash, instead of receiving rail vouchers. As already noted, remember to make your claim within 28 days of incurring your delay. Yes! Instead of claiming a refund you can use your ticket to get on another train, or a later train. In both cases, however, check with station staff (as there might be some exceptions). You'll still normally be able to make a claim, also, if you arrive 30 minutes later than scheduled. Furthermore, you can usually travel by a different route, if there is one available. Again, just check with staff to make sure no restrictions apply. If your journey is split between two trains, and the first is delayed such that you end up missing the onward connection, you can get the next available train (with your ticket) or, if you take alternative transport, you can claim a refund for the unused part of your journey. Has your claim for rail delay compensation just hit the buffers? Unfortunately, there is no train passenger ombudsman to arbitrate complaints. So, if you make a claim and it is rejected, your options are limited. Firstly, if you have not received any reply within 28 days, you can try Transport Focus. As a passenger watchdog, it might take up your complaint and request a response on your behalf. Remember, however, it is only a watchdog and has no powers to force a train company to pay out. Social media also can be a useful way to contact a train company; the publicity might also encourage your operator to give you compensation. Ultimately, however, when all else fails, the only other avenue is a Small Claims Court. This area of regulation and policy is likely to change, in the future. So, for the latest on the rules around claiming compensation for train delays, make sure you check Unlock The Law regularly & follow us on social. Make sure you don't go "off the rails"!